THE BRITISH RAILWAY STORIES LTD: "Hornby Product Announcement!" What's this?! 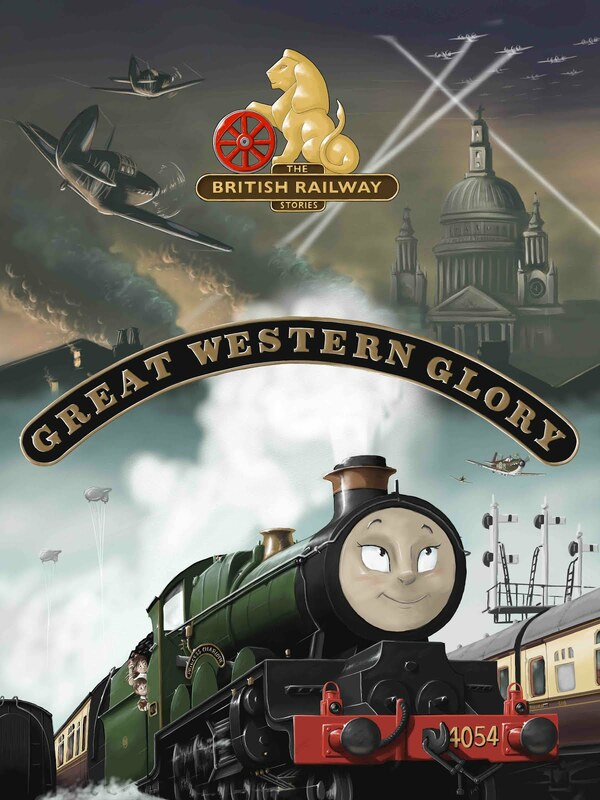 A first look at a new Hornby product?! 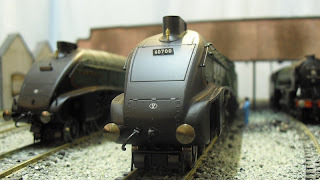 A brand new, DCC fitted, Gresley W1 4-6-4. Simply stunning. Okay, hands in the air - it's not technically a new product, direct from Hornby. 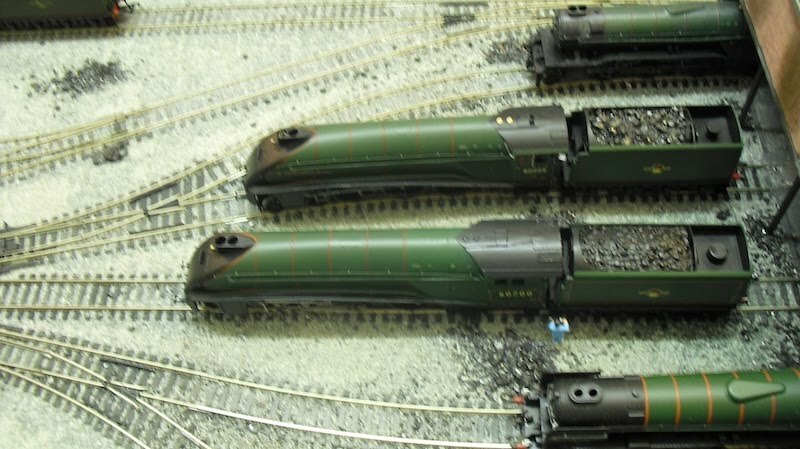 What it is, is a commission build by Graeme King for me, to produce a W1 by extending the Hornby Railroad Mallard as a base. 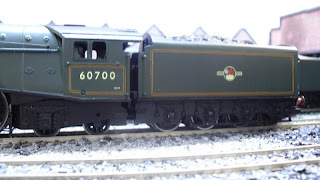 The great advantage of using 60022 was its DCC fitted chassis - which, straight out of the box, runs perfectly. Taking this model out of the box and placing it on the Copley Hill set for the first time was a great moment - it looks and feels like a proper ready to run model, testament to Graeme's workmanship. It also goes some way to show how bizarre Hornby's Railroad Mallard is, in some ways! 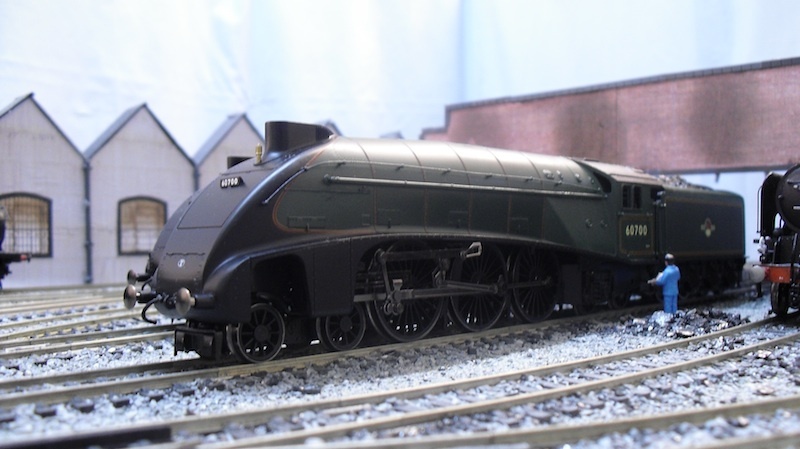 The bodyshell, as shown above with the comparison to my own super detail Sir Ralph Wedgwood, is actually the same item, minus the fittings such as glazing, lamp irons and a coupling. Apart from that, the two items are one and the same. 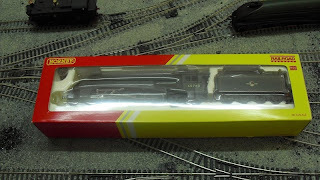 Looking at the chassis - the DCC chassis, in the same vein as the Railroad Flying Scotsman, is also the same. The only difference is the fitting of the clunky, old style valve gear (which in fairness is very rugged for continuous use). 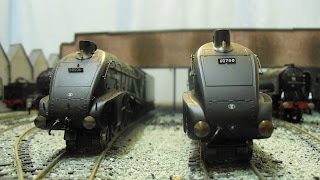 At the cab end, Graeme's careful cutting of the Hornby bodyshell and fitting of the South East Finecast W1 cab, and cab roof, looks phenomenal. You simply could not tell that the bodyshell had been cut in any way, shape or form. I'm very lucky in that Graeme decided as an exercise - in other words, to see if he could - make for me a non-corridor tender from the over-width Railroad tender (whose origin was from the old tender drive A4 models). The result is a stunningly slimmed down body which is scale width and correct for the period depicted by this W1 model. The chassis modifications involved the fitting of the South East Finecast cartazzi and pony truck sides - and a two axle truck between the frames. The irony that this model is actually a 4-6-4, when railway historians argue over whether the W1 was a 4-6-4 or 4-6-2-2, is not lost on me! The sheer length of the W1 is startling. It has to be said - I'm suddenly finding that the A4 doesn't look long enough compared to the W1! There is a certain majesty in the 4-6-4 that I wasn't quite expecting, but the Gresley racehorse line certainly breaks through in this model. One final picture - and a round of thanks and kudos to Graeme for a job well done. The W1 is very nice indeed and I certainly wish I had one but I think that someone's had a toke before fitting that number plate on the front casing!